Lao Friendship Salad. 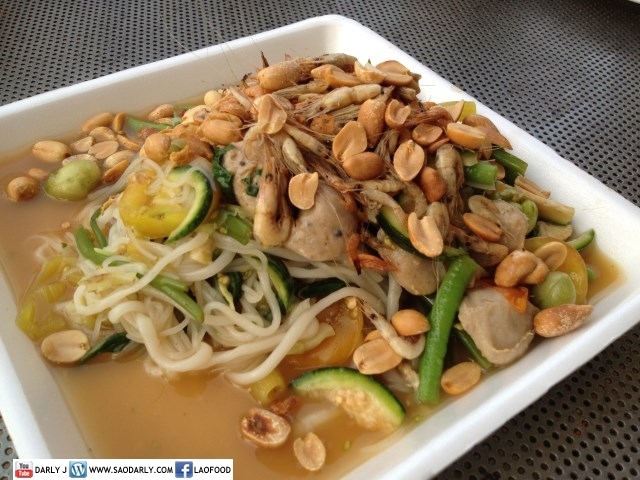 The salad is an alternate version to the typical Lao Green Papaya Salad and using noodles and vegetables with meatballs instead of just shredded green papaya for the main ingredient. 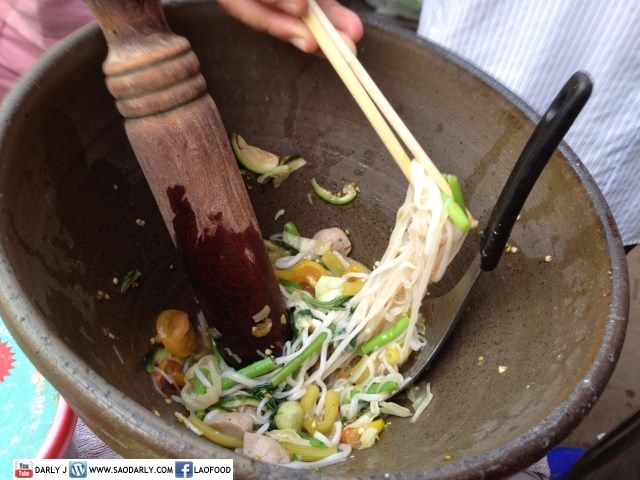 The spicy noodle salad is made using the same seasonings as making the papaya salad. It makes a good lunch, afternoon snack or dinner.